I have always had a problem with completing single player games. I am in the habit of starting a game, putting a few hours into it, then setting it down and picking up the next game. There are not many instances where I have started a game and then proceeded to finish it. In 2018, I probably played more than 100 games, but I can only recall finishing one game: Firewatch. The main reason that I finished that game was because it was only around three hours long. More games are getting longer which, in turn, requires more time to be put into them. For me, I have a hard time sticking with a game for very long. Even if I am enjoying the game, I will find myself ducking out and picking up the next title. I feel that this problem is attributed to me simply having too many games to play. It is such a dumb problem to have, but I have been blessed with a majority of the gaming consoles and a great PC. I have hundreds of games collected over these consoles, and I want to play all of them. I also tend to enjoy a majority of different genres from RPGs, to shooters, to racing games, to almost everything in between. I find myself wanting to jump in and simply dabble in the game rather than experience the entirety of what it has to offer. But, I feel that this keeps me from fully enjoying the game that I am playing as I constantly find myself dropping a game and moving on to a new one. I think it is option paralysis which makes me jump around as I don’t let myself just enjoy the game that I am currently playing. I feel like I need to rush off and try the next big thing. I will jump between multiple games rather than focus on the one title. Rather than sit down with one game, I will play one game for half an hour to an hour, then pick up the next one. Then, I may jump into a multiplayer game later in the day and then grab my Switch for a different game if I go somewhere. Dividing my attention between so many games makes me feel like I can not fully commit to a single game. This would lead me toward never completing any of them. I would simply move on to the next combination of titles. For 2019, I want to finish more games. Sure, I am not going to put 100 hours into a game that I hate, but I want to keep trekking through games that I know that I enjoy but may have slumps here and there. The first game that I have started with has been Star Wars The Old Republic. I have been playing the game on and off for more than six years. I probably have somewhere around 500 hours of game time, but I had only completed one of the main story lines until recently. There are games like this that I enjoy, but I do not commit to finishing. Hopefully I can fix this bad habit. 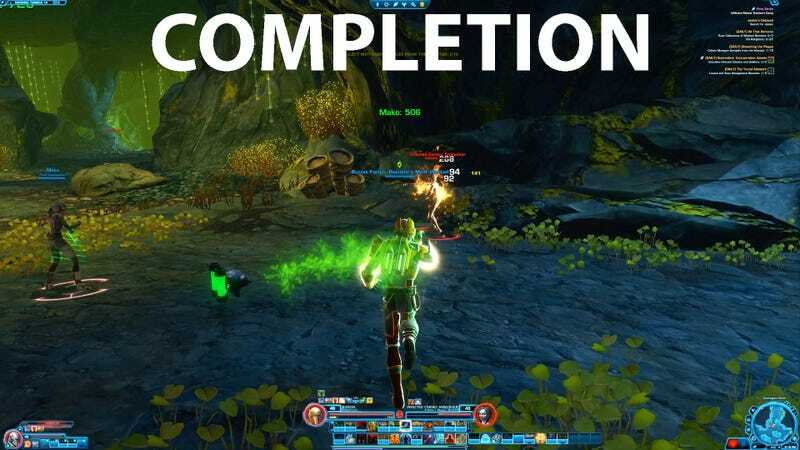 I just finished my third character story in The Old Republic, and I am now trying to only play a game or two at a time. This narrow focus should help me to fully realize what the creators intended for me to experience with their games.